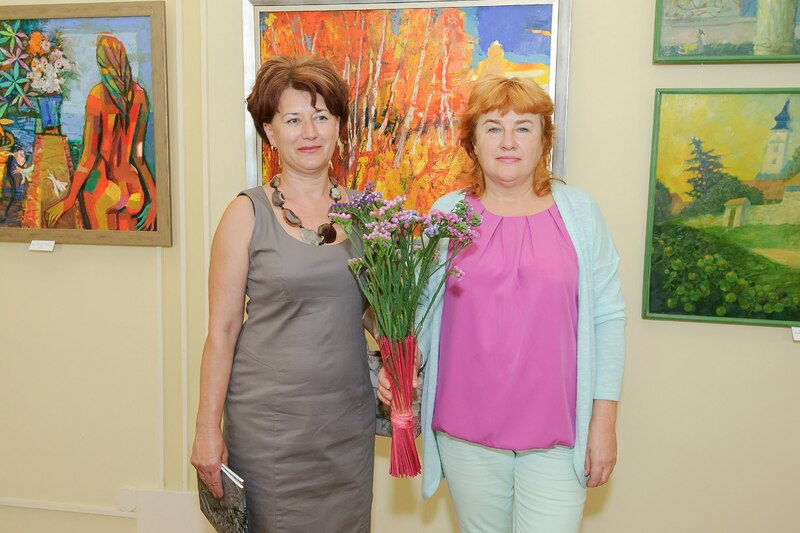 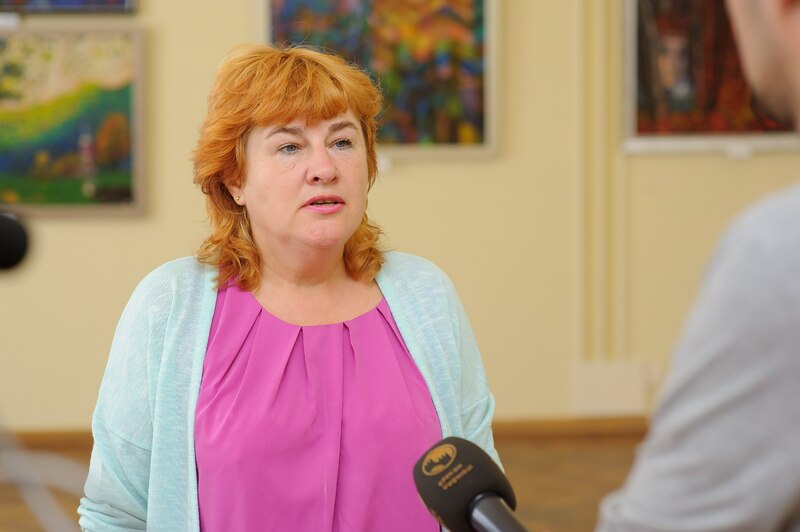 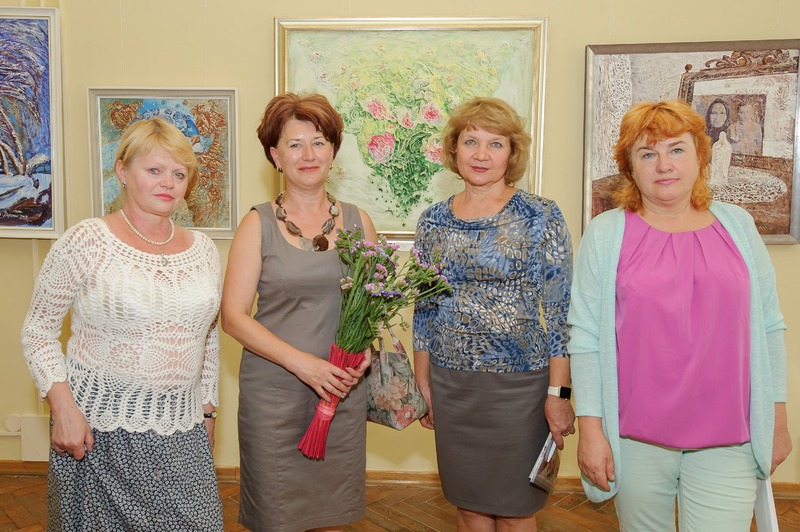 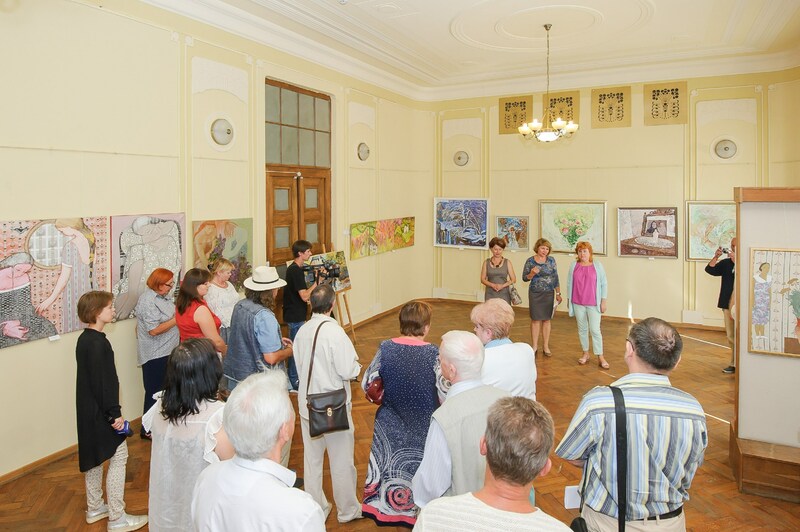 "Art unites Ukraine" – under this title on August 31, 2017 in Chernivtsi, it was opened the all-Ukrainian art project of the Public Organization "Association of Creative Women of Transcarpathia" New Form". 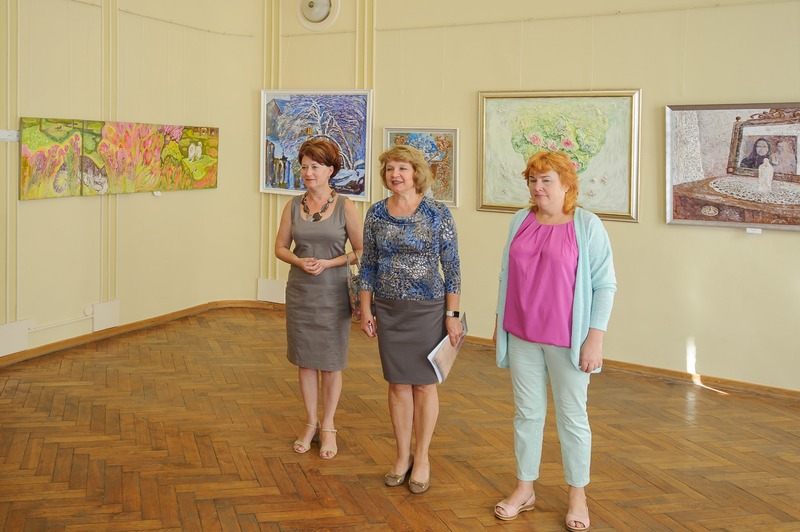 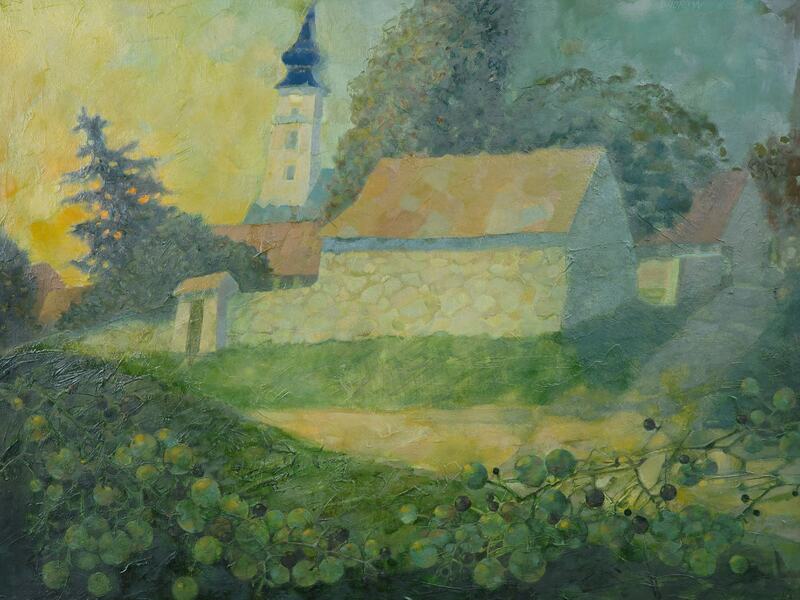 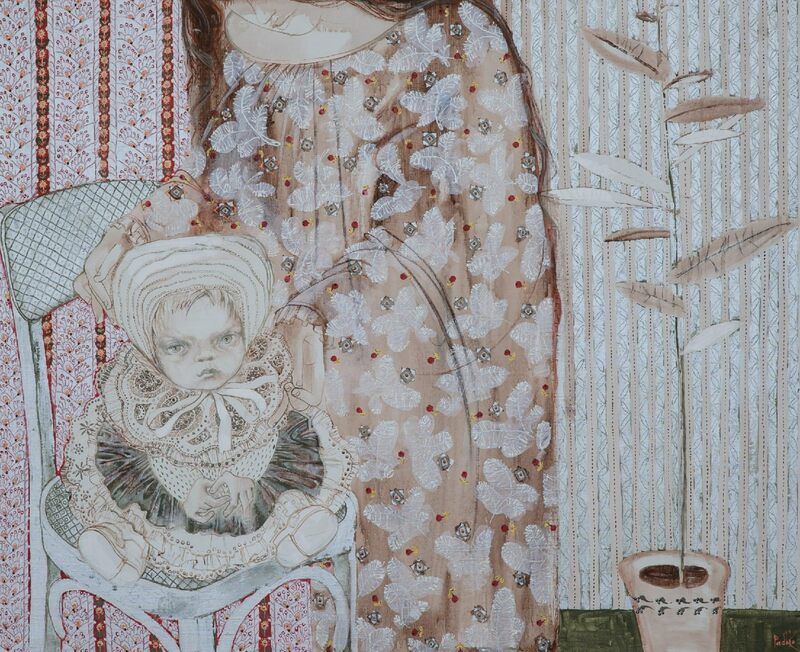 Four Transcarpathian artists – Odarka Dolhosh-Sopko, Olena Kondratiuk, Liudmyla Korzh-Radko and Nadiia Ponomarenko combine art and travel around the cities of Ukraine. 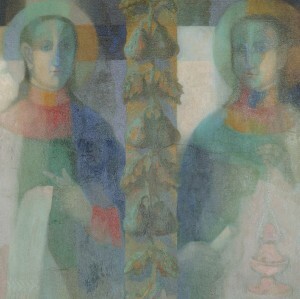 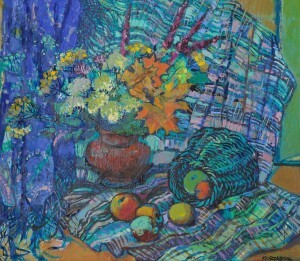 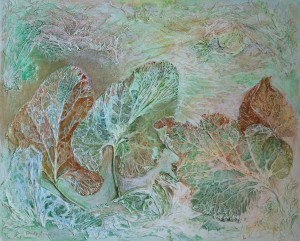 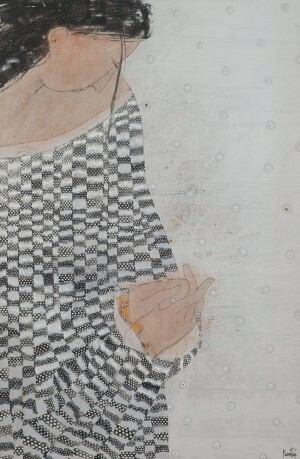 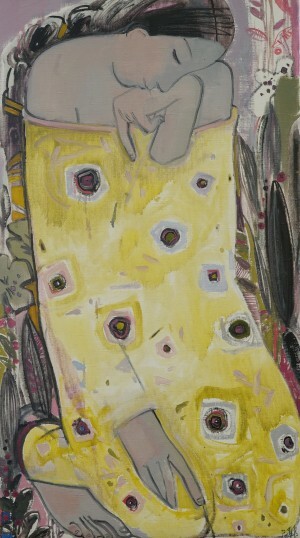 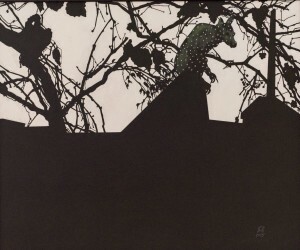 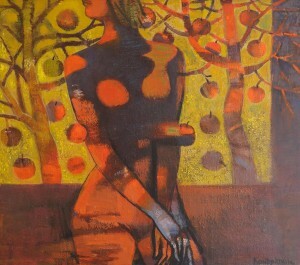 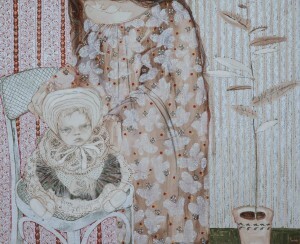 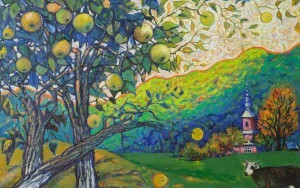 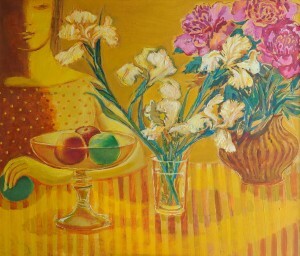 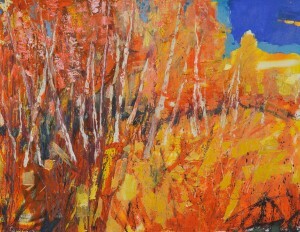 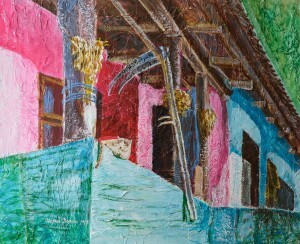 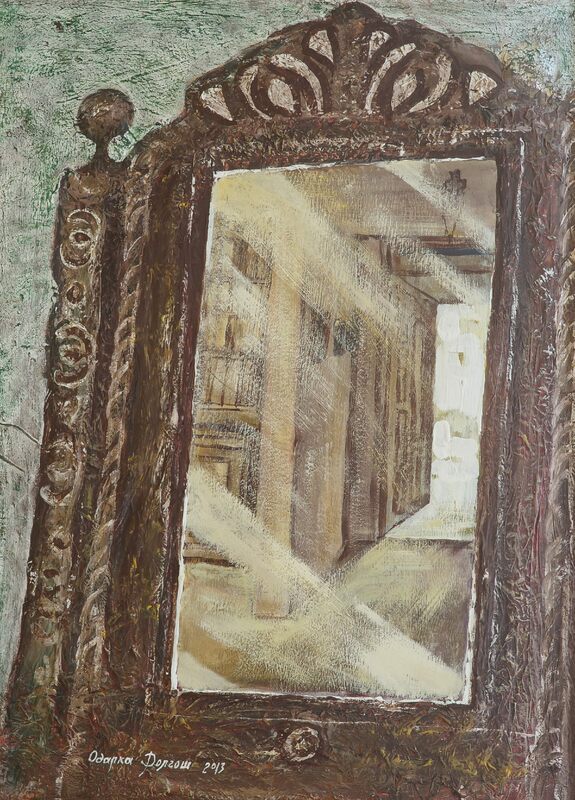 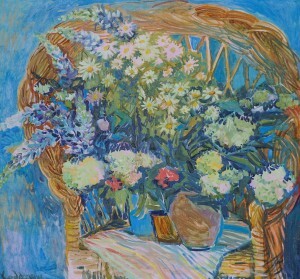 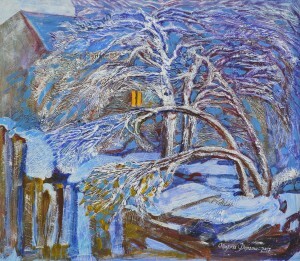 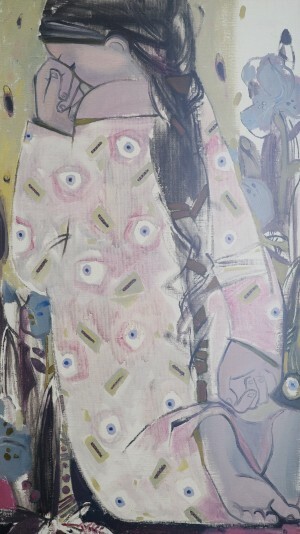 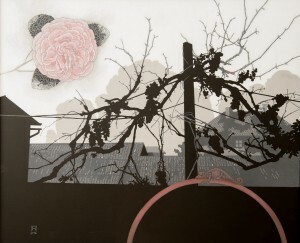 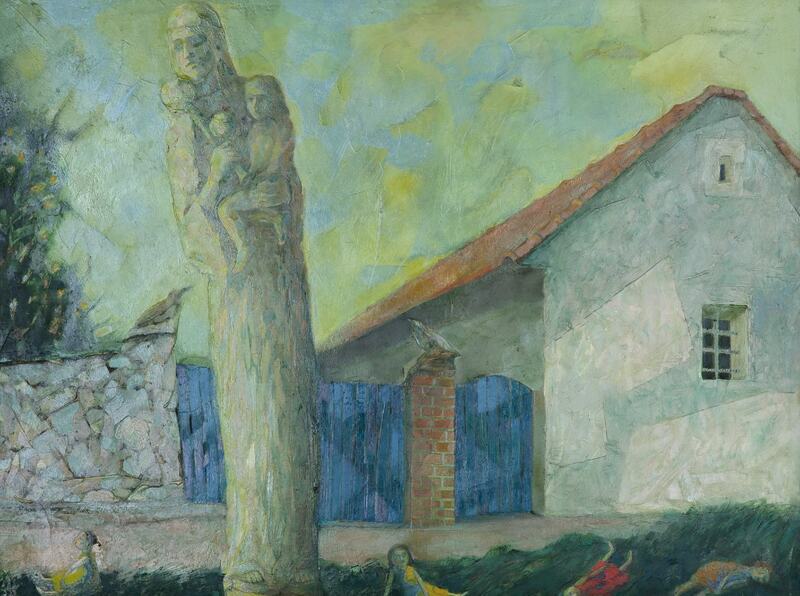 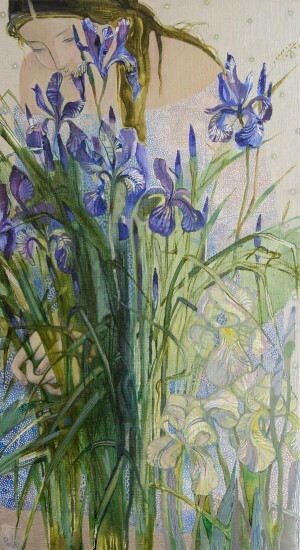 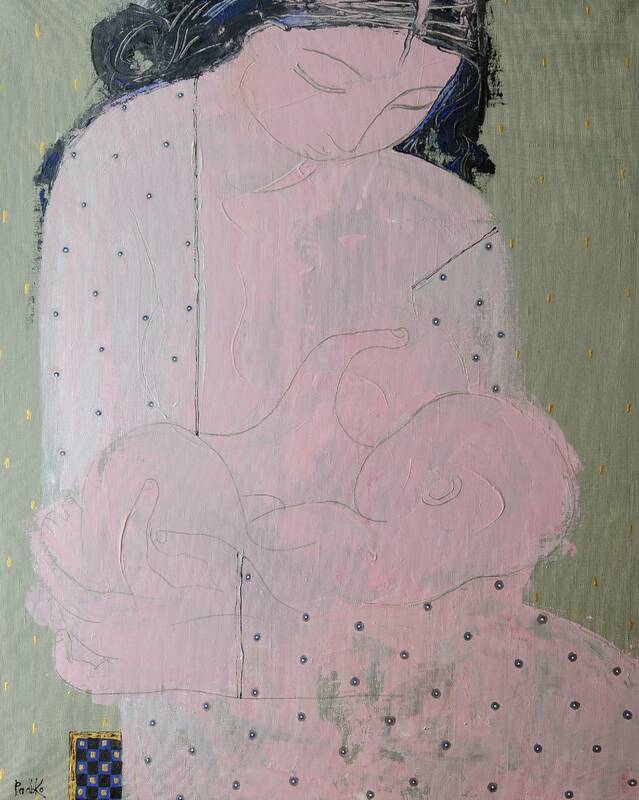 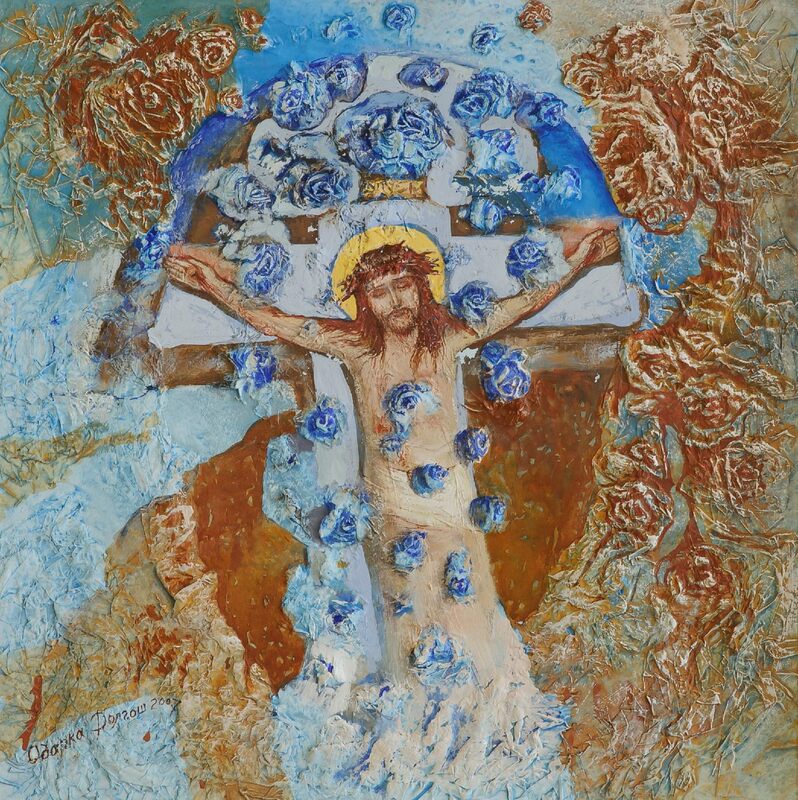 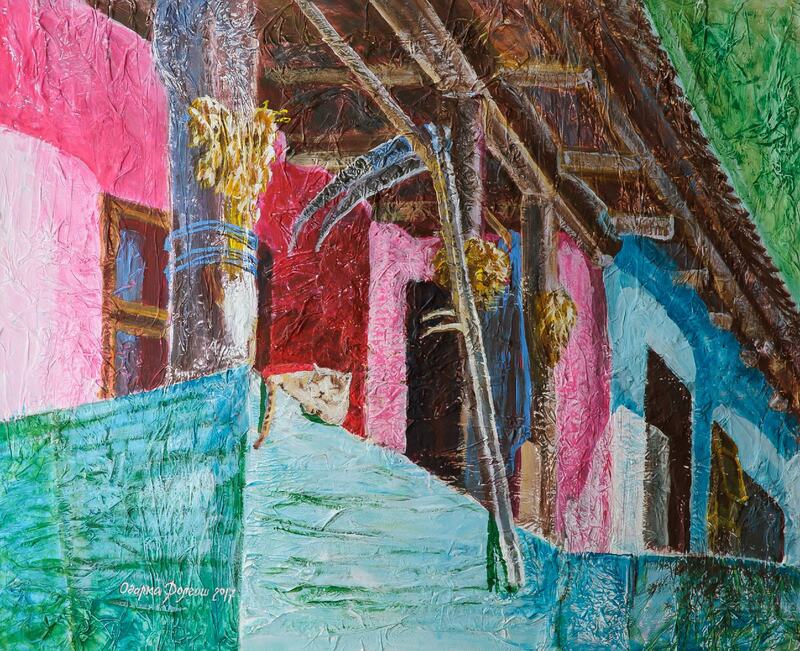 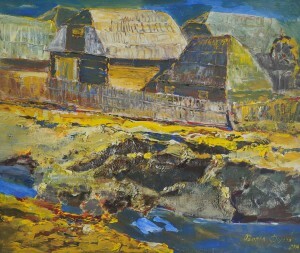 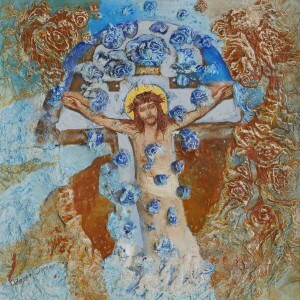 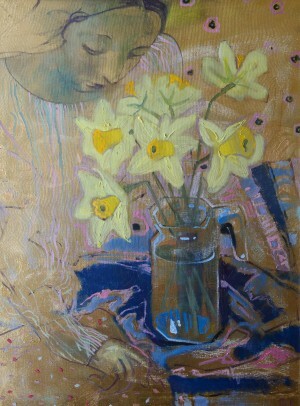 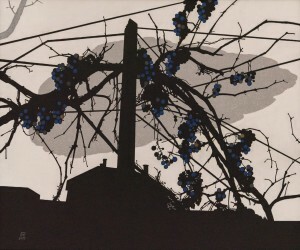 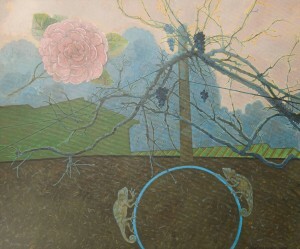 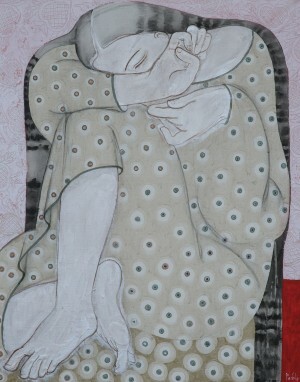 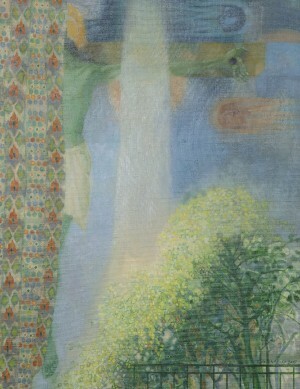 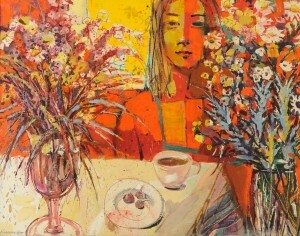 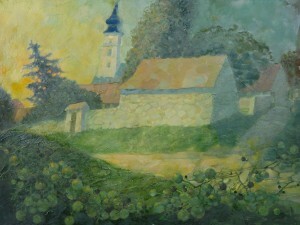 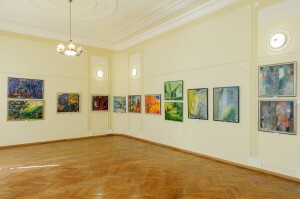 Fifty paintings that differ in their theme, compositional solution, picturesque qualities and technique of performance are united by title "Vereta". 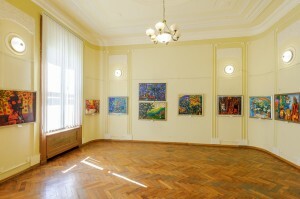 Each author differs from others in his special manner of performance, and that particular feature is the main at the exhibition. Having one’s own "exposition platform", the creativity of each is presented with originality and recognition in the general ornamentation of a symbolic colourful carpet. 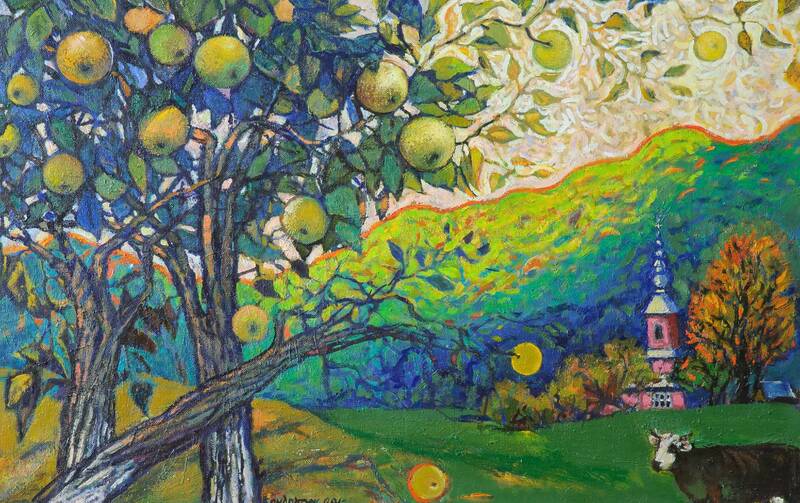 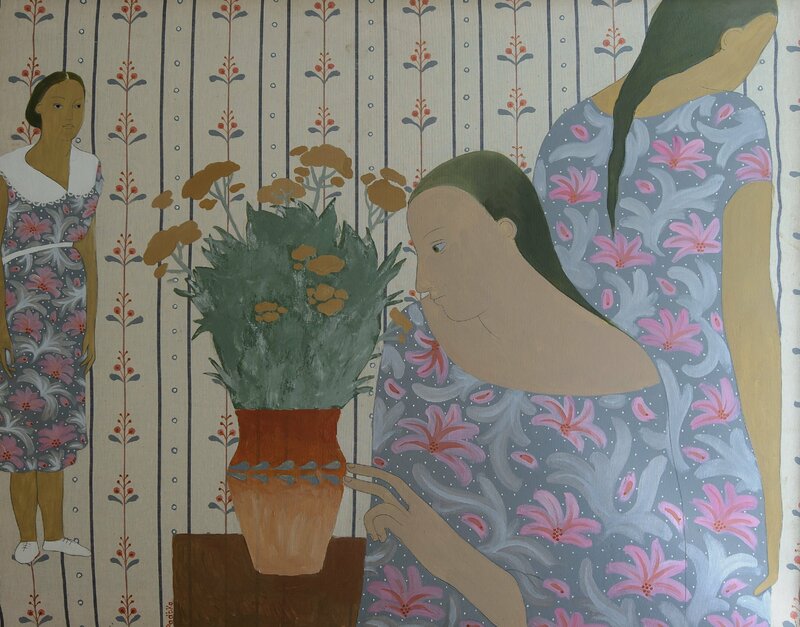 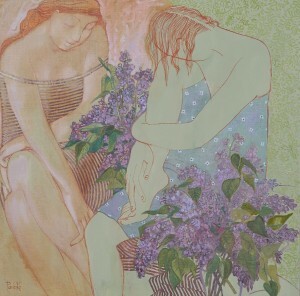 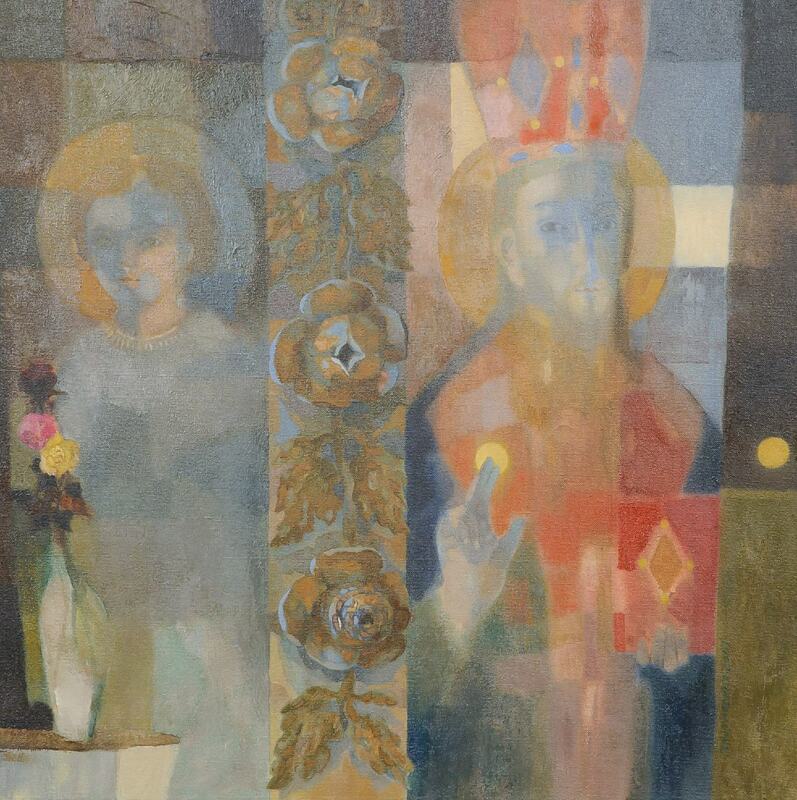 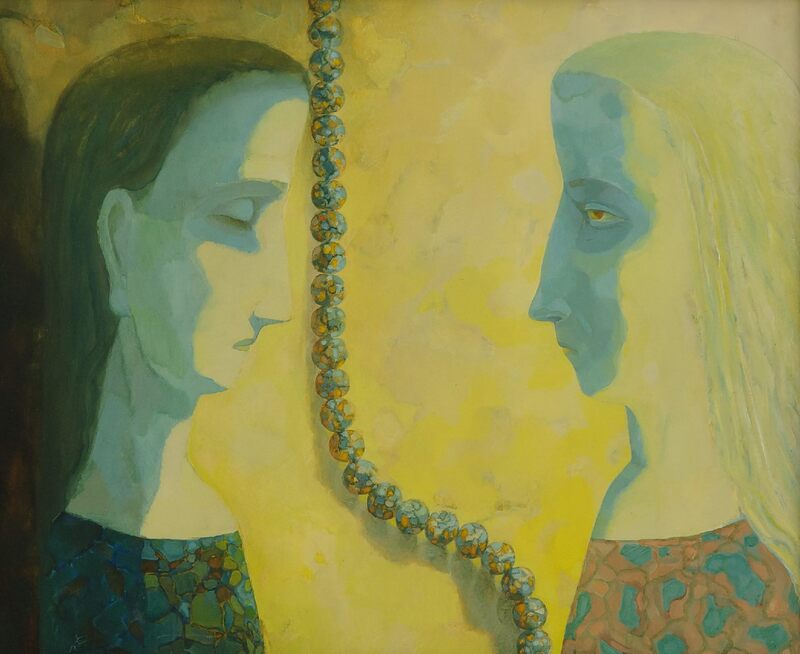 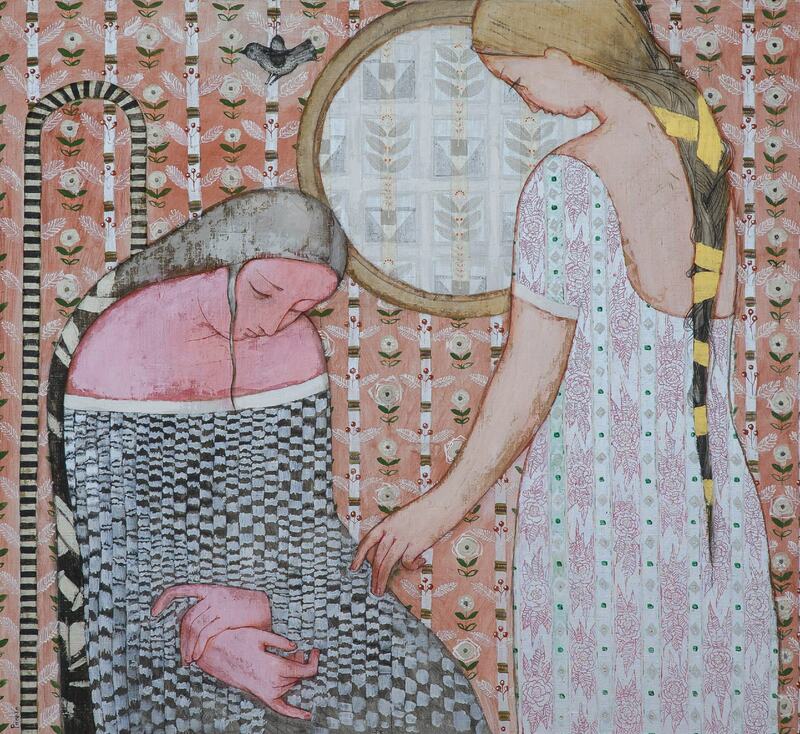 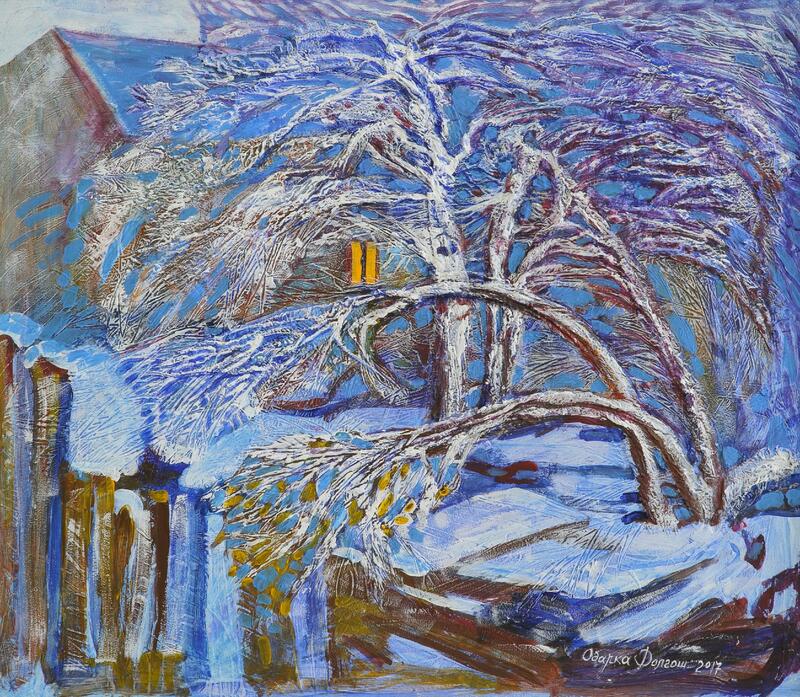 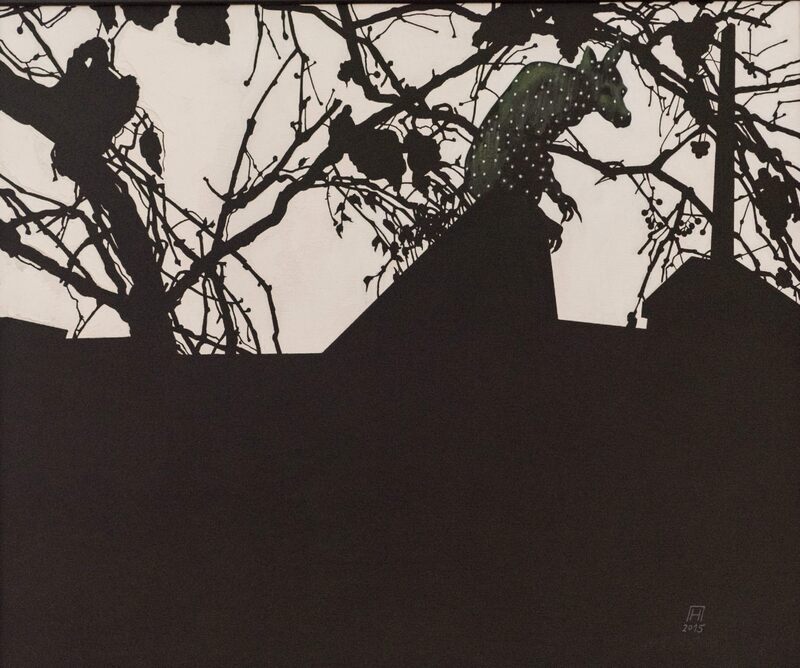 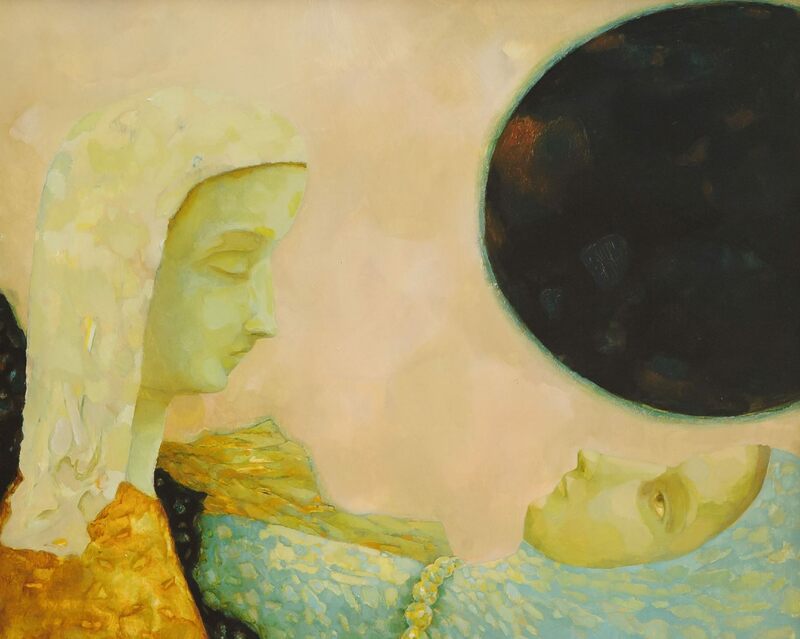 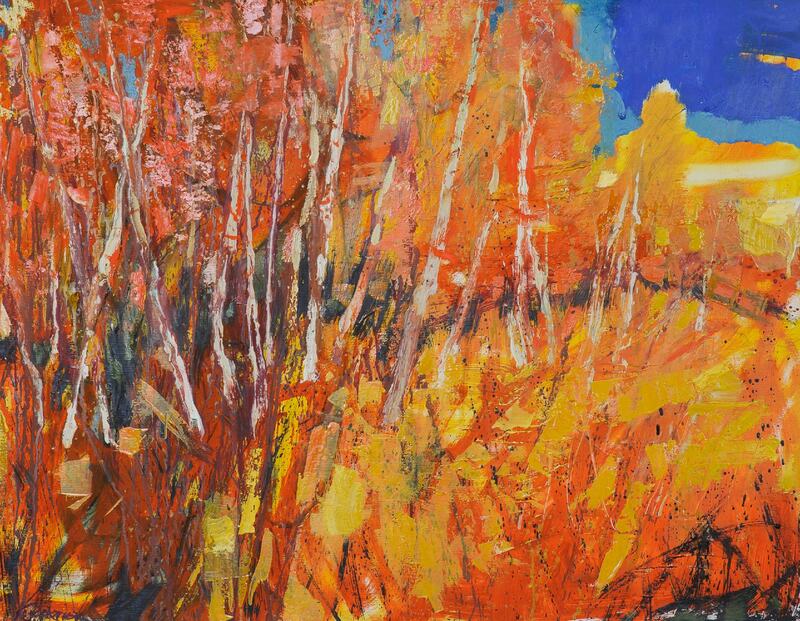 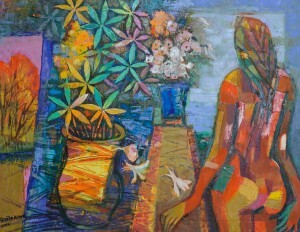 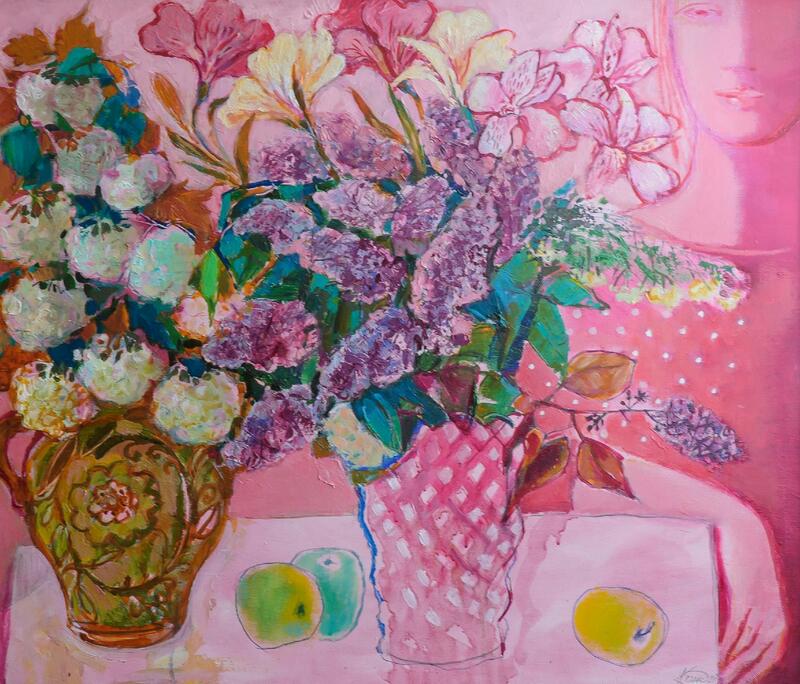 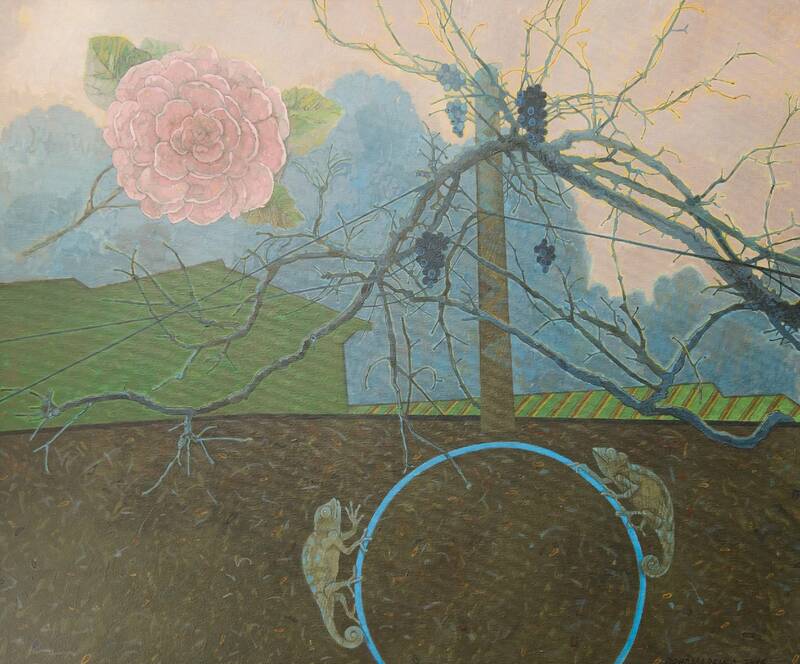 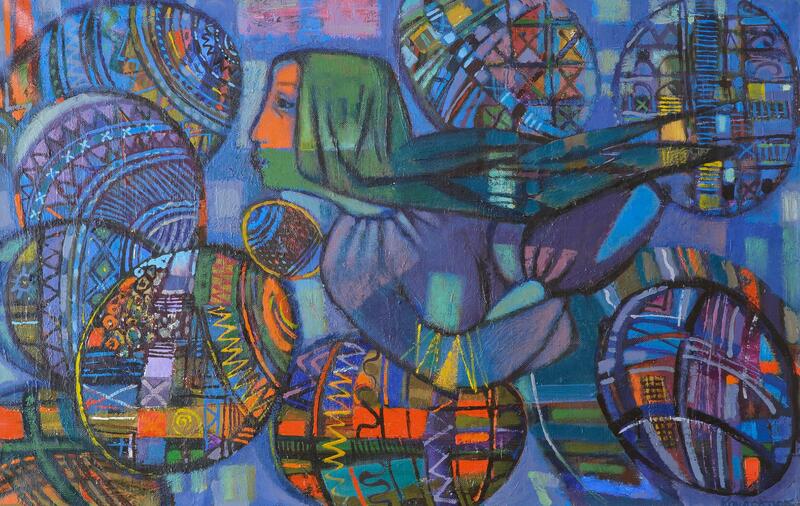 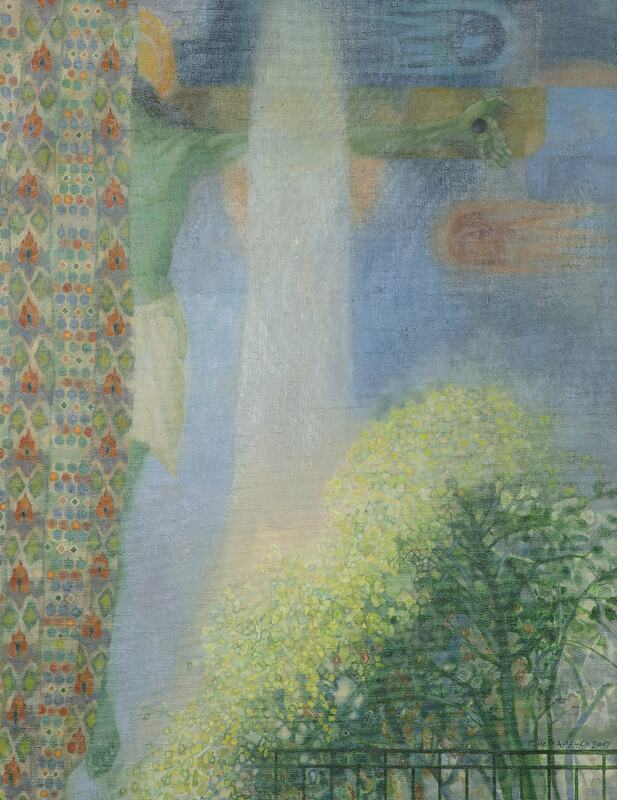 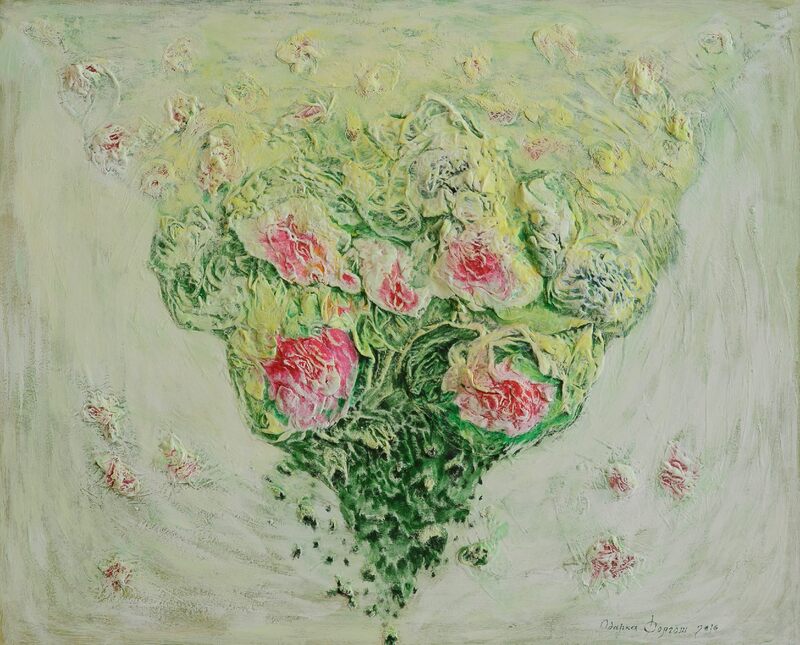 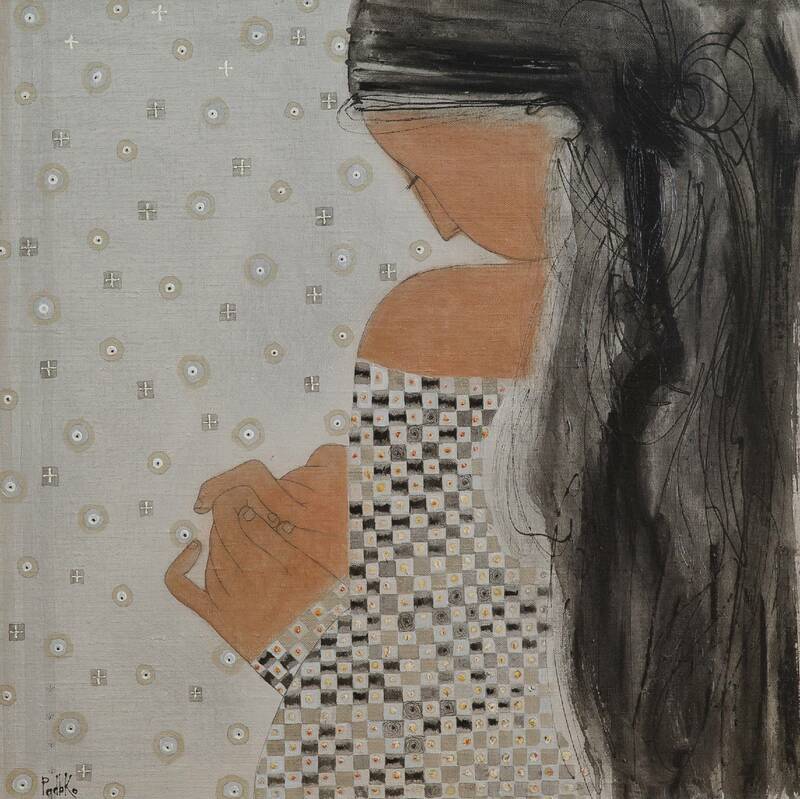 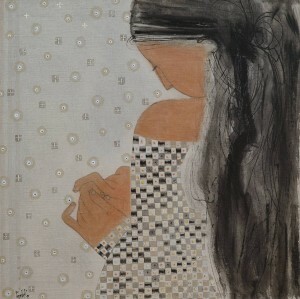 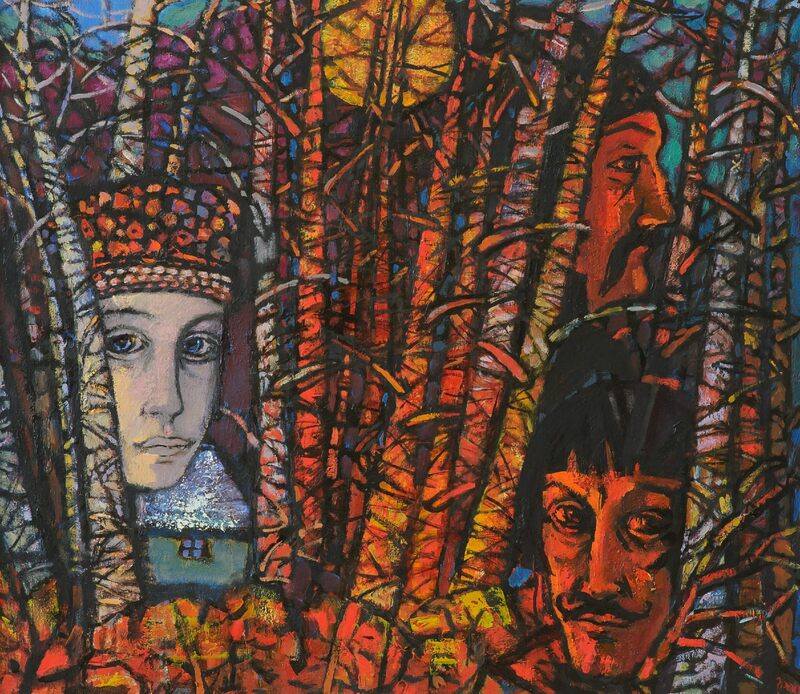 Four sensible worlds with a special dimension – in such a way their works are characterized by art critics: beauty, charm, myth of Odarka Dolhosh; love, mystery, intrigue of Olena Kondratiuk; calmness, refinement, truth of Liudmyla Korzh-Radko; eternity, being, tenderness of Nadiia Ponomarenko. 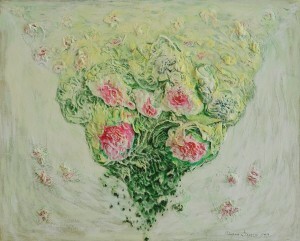 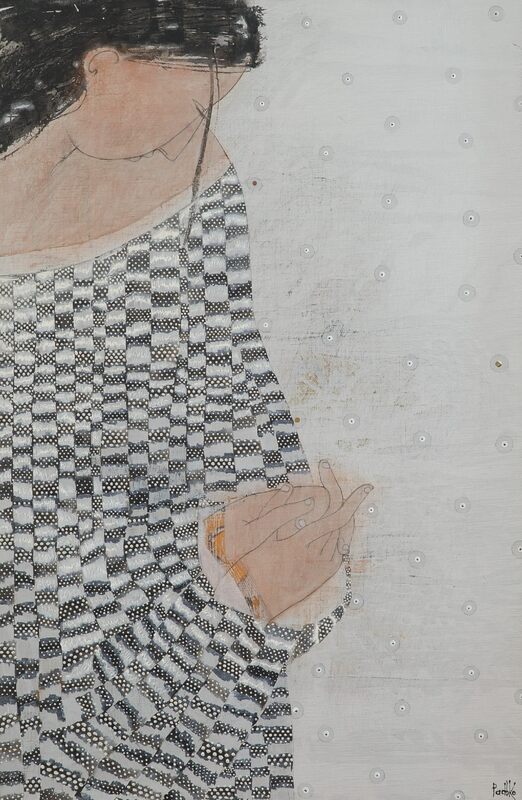 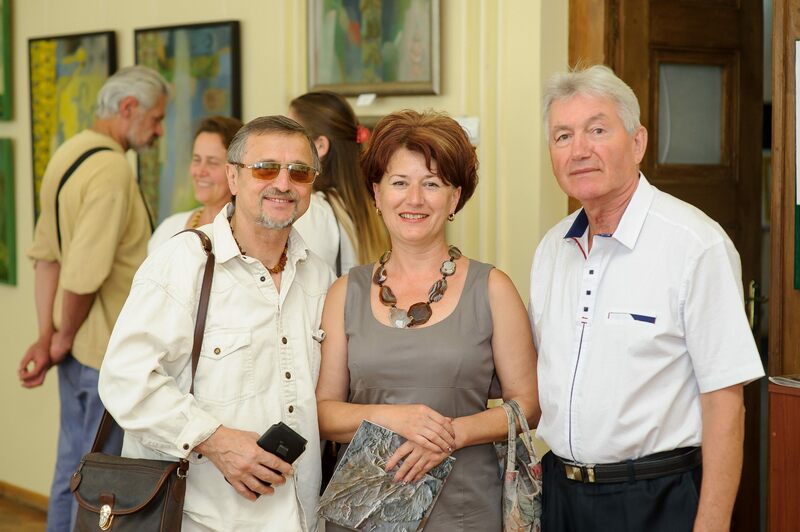 The credo of all four artists – exquisite taste and talent, which is the solid monolith in their projects. 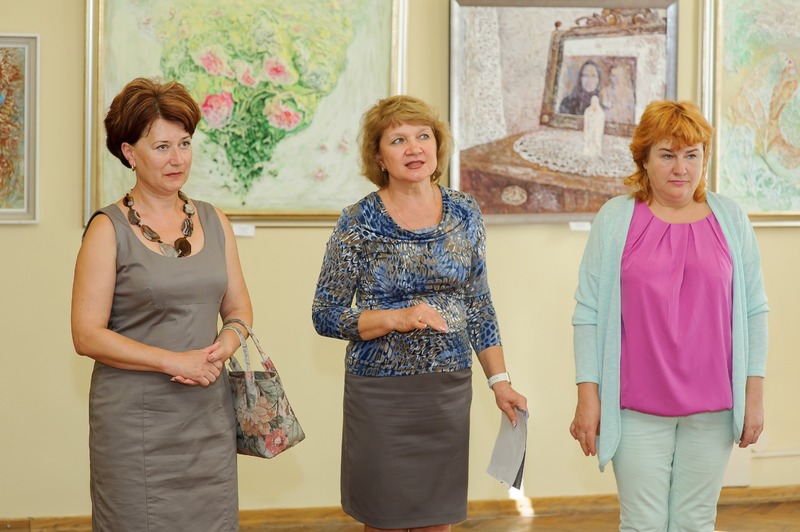 Talented members of the Public Organization "Association of Creative Women of Transcarpathia" New Form " for more than 15 years in a row represent their cultural and artistic events in Ukraine and abroad. For example, the art project "Four Dimensions", "Herdan", "Uzhhorod Book Mykolai", "From Andrii to Mykola", "The Year of Ukrainian Culture in Slovakia" and others. 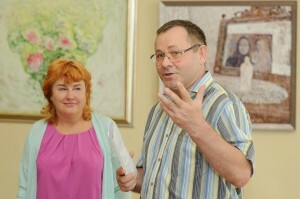 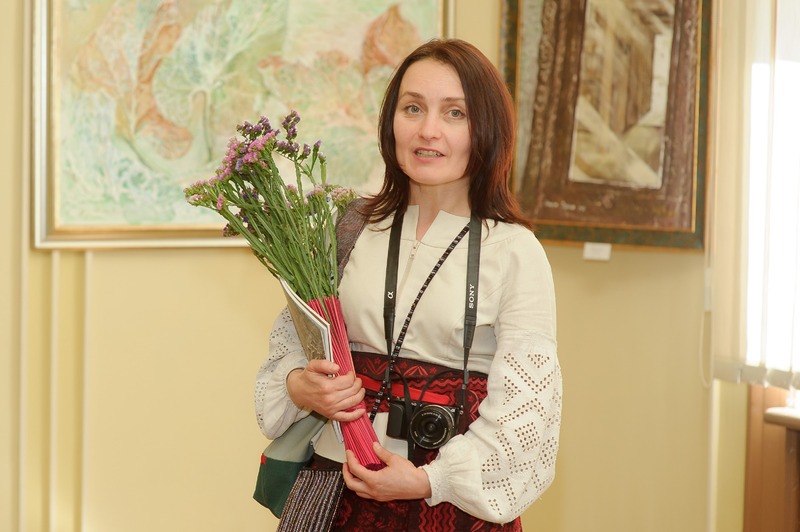 All these projects are aimed at popularization the Transcarpathian art in Ukraine and abroad. 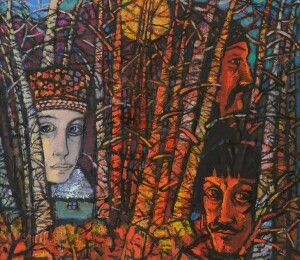 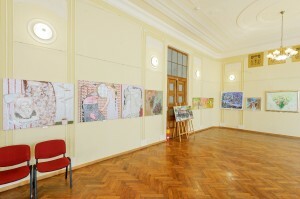 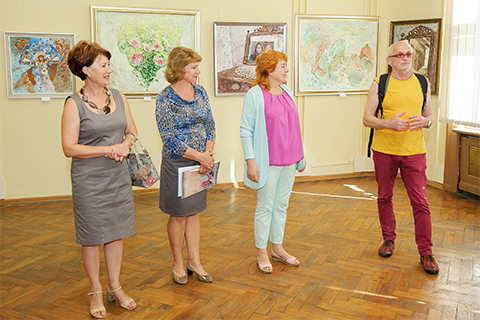 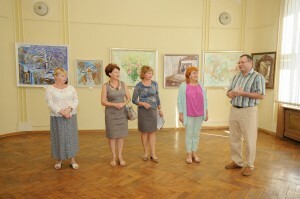 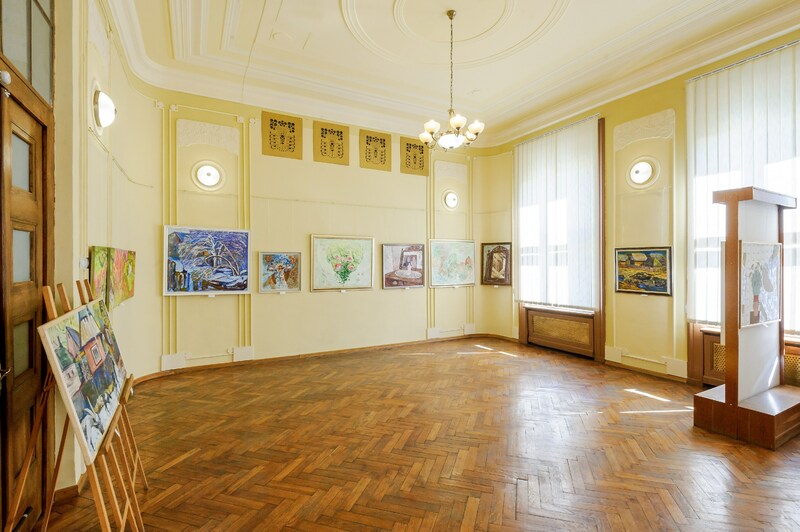 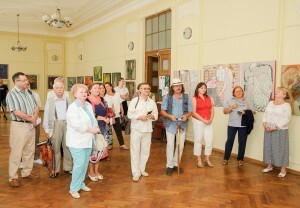 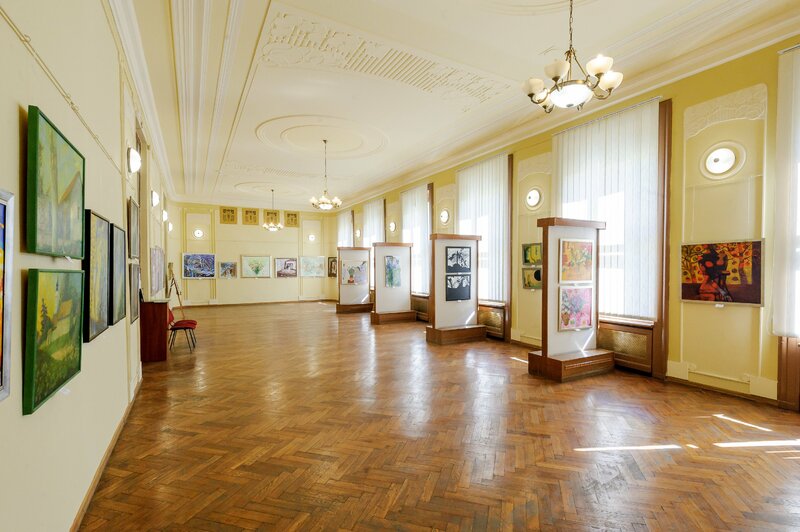 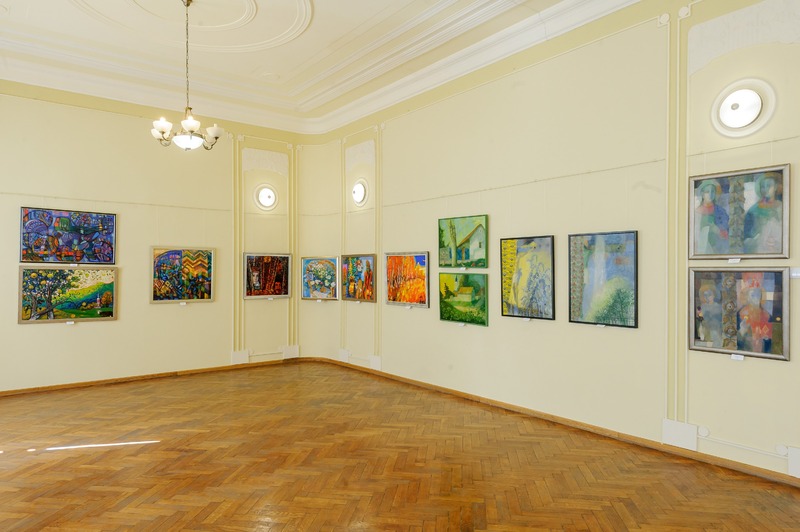 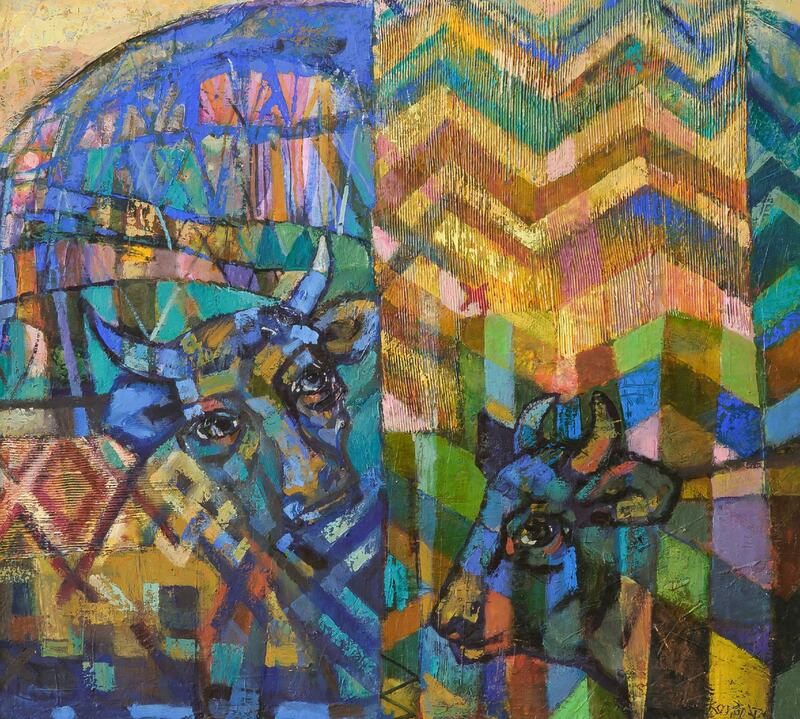 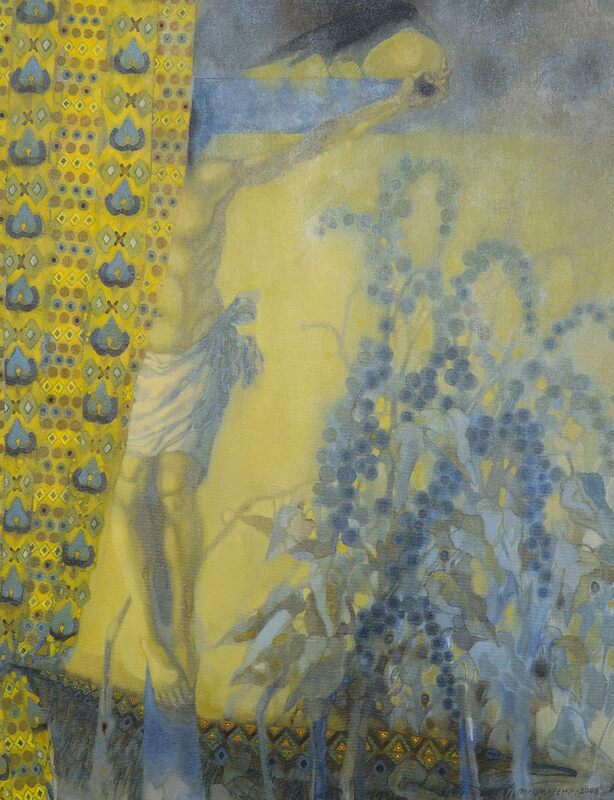 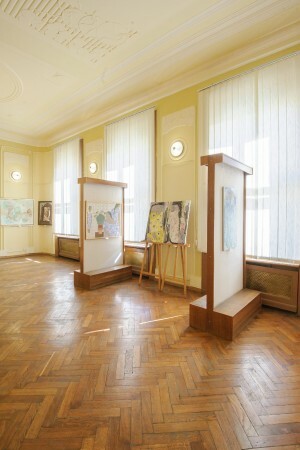 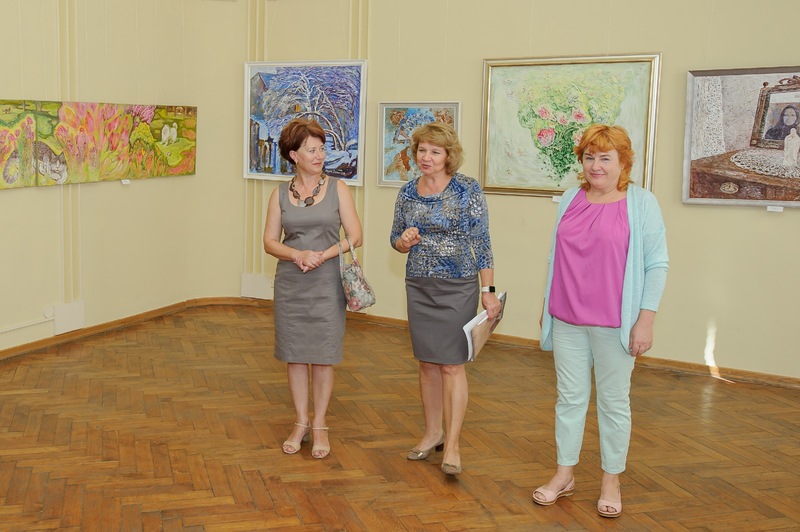 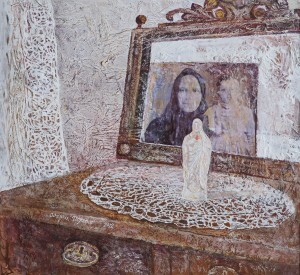 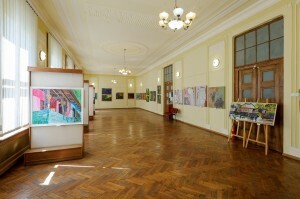 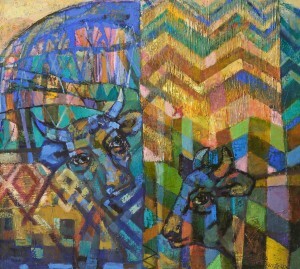 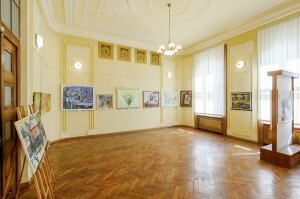 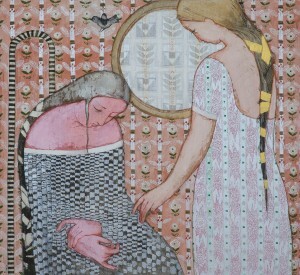 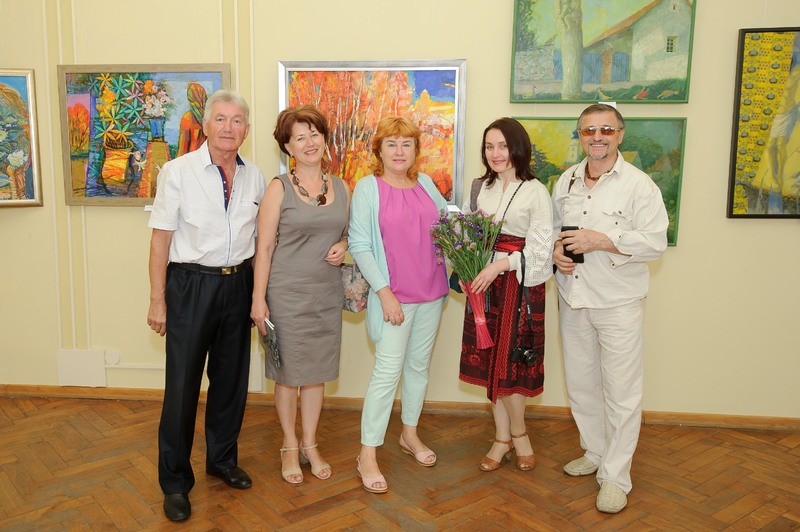 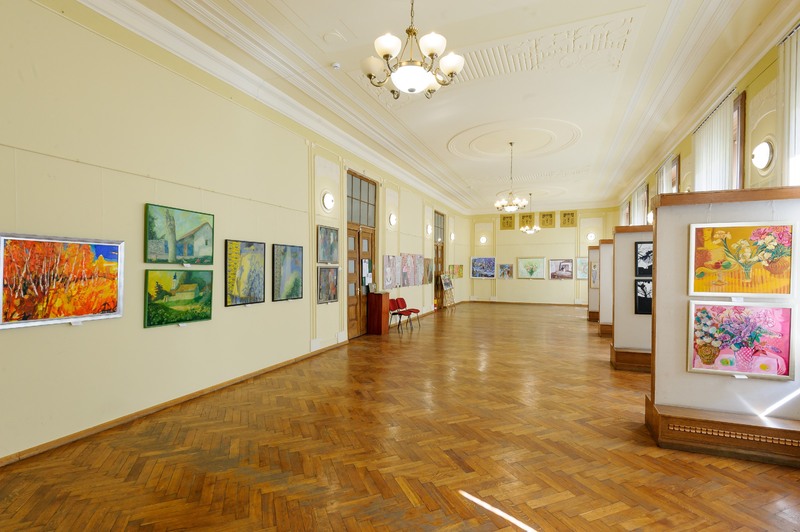 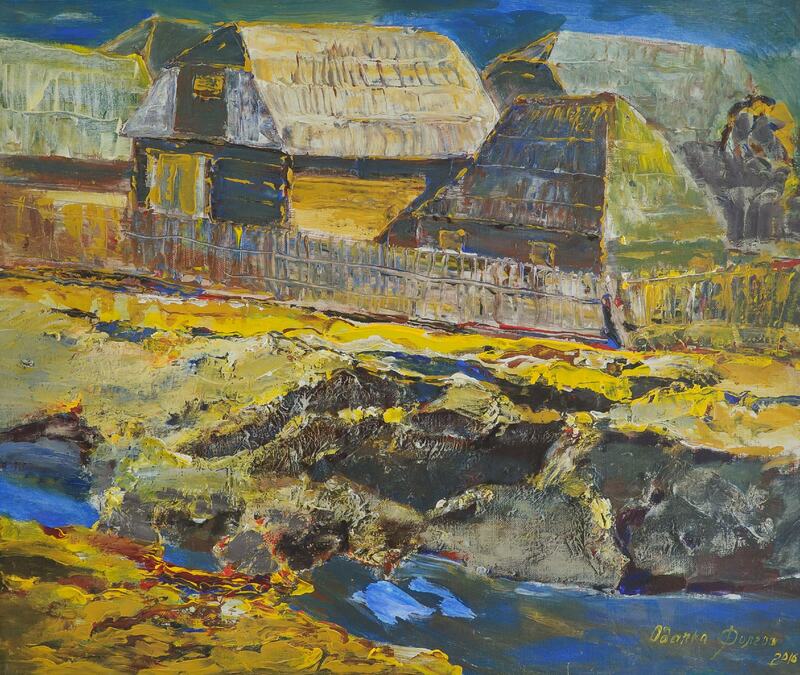 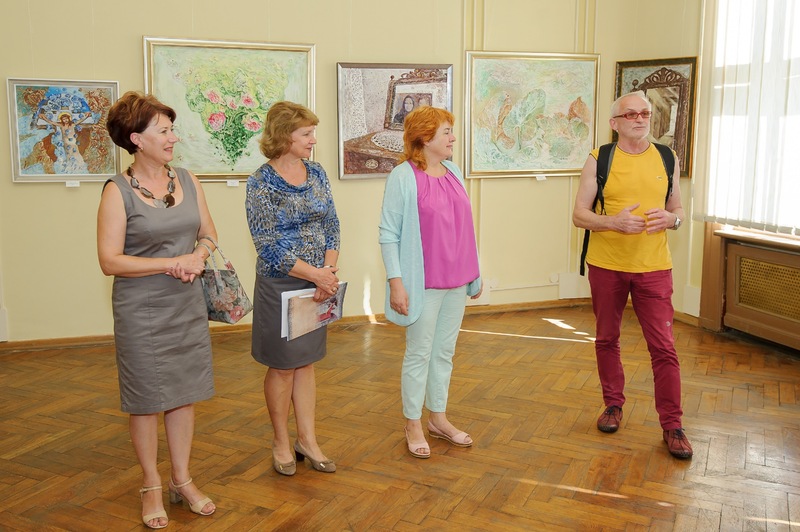 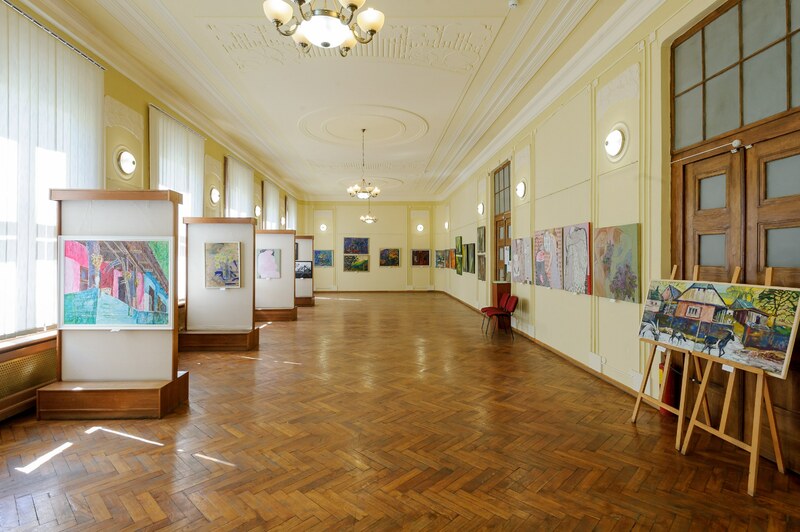 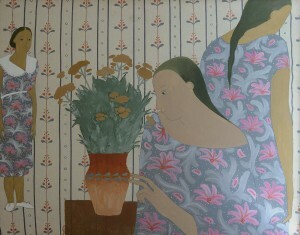 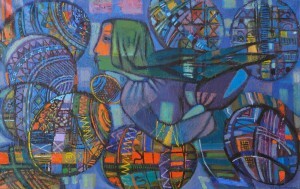 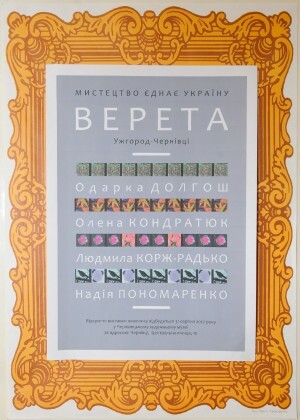 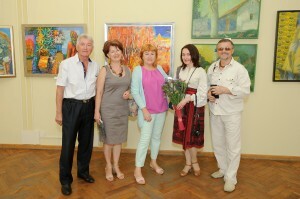 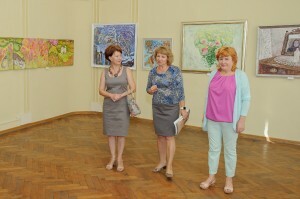 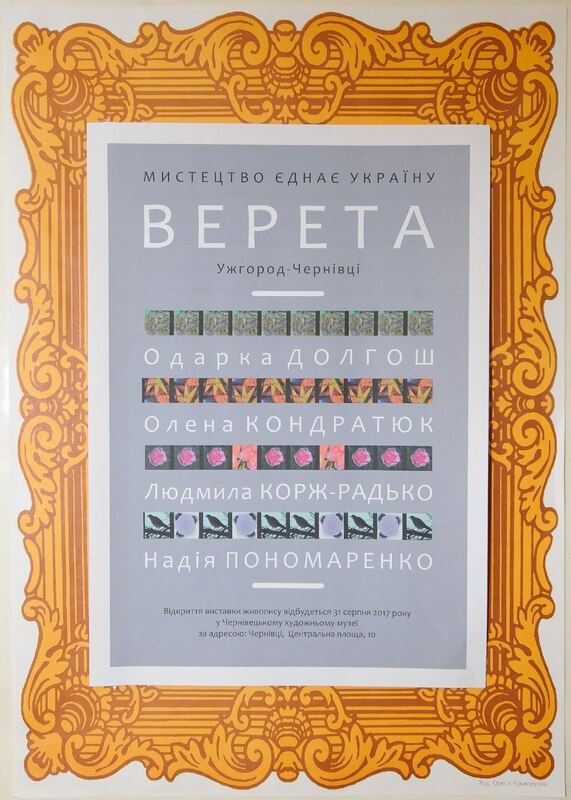 Exhibition "Vereta" travels around Ukraine since July 3: first it was presented in Vinnytsia (hall of the gallery of the National Union of Artists of Ukraine), then the exposition continued its journey to Ternopil (the exhibition hall of the National Union of Artists of Ukraine, Ternopil Art Museum). The exposition will last till September 31, 2017 in the exhibition hall of the Chernivtsi Art Museum, then it will travel to other cities of Ukraine.